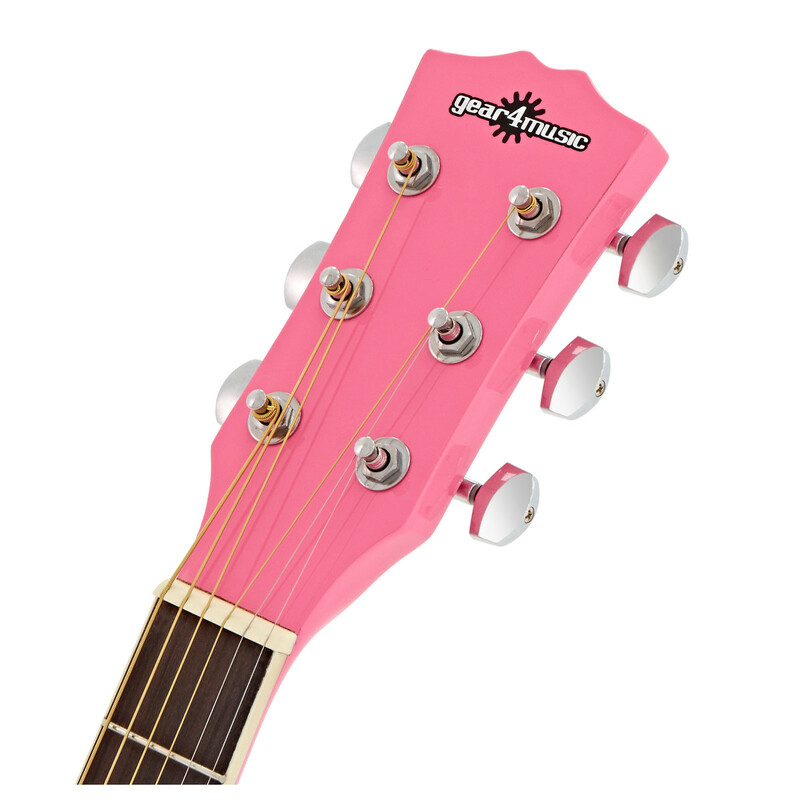 The Dreadnought Electro Acoustic Guitar by Gear4music is a responsive and very playable high quality instrument at a highly competitive price - an excellent introduction to the world of acoustic guitar playing that gives you the option to plug in and amp up, opening up a world of musical possibilities. 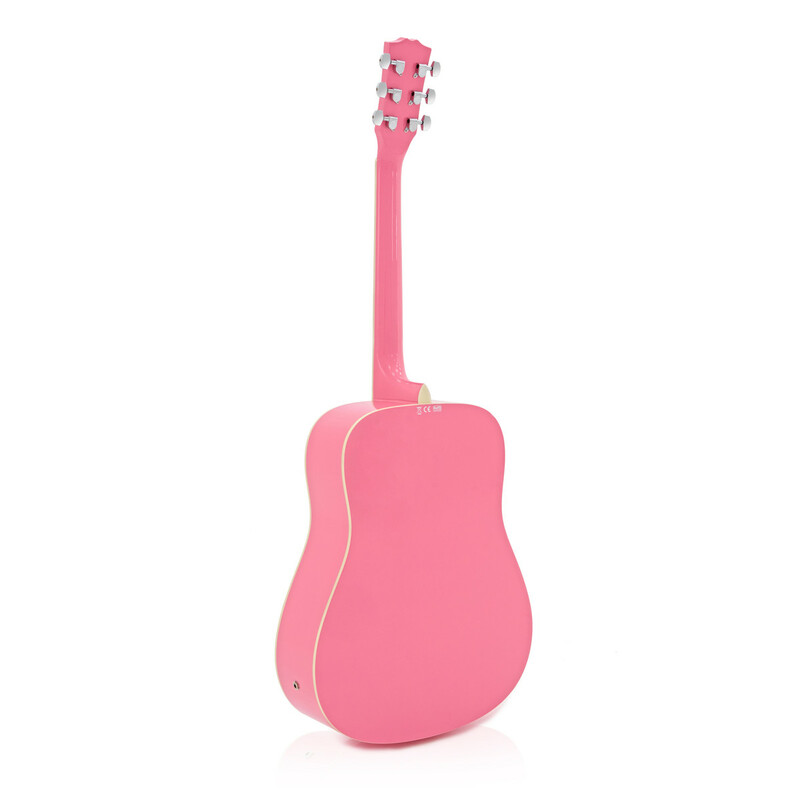 A responsive and very playable instrument with a full, balanced acoustic tone, our Deluxe Electro Acoustic also includes pro features like a compensated bridge for excellent intonation, and a 4-Band EQ and Phase Reverse on the preamp for adjusting your amplified tone and blending the guitar output with a microphone when recording. Gear4music electro acoustic guitars feature sustainable wood that meets the needs of the evolving world. Composed of poplar laminate, the dense and natural grain of the updated fretboards give improved tone and volume. 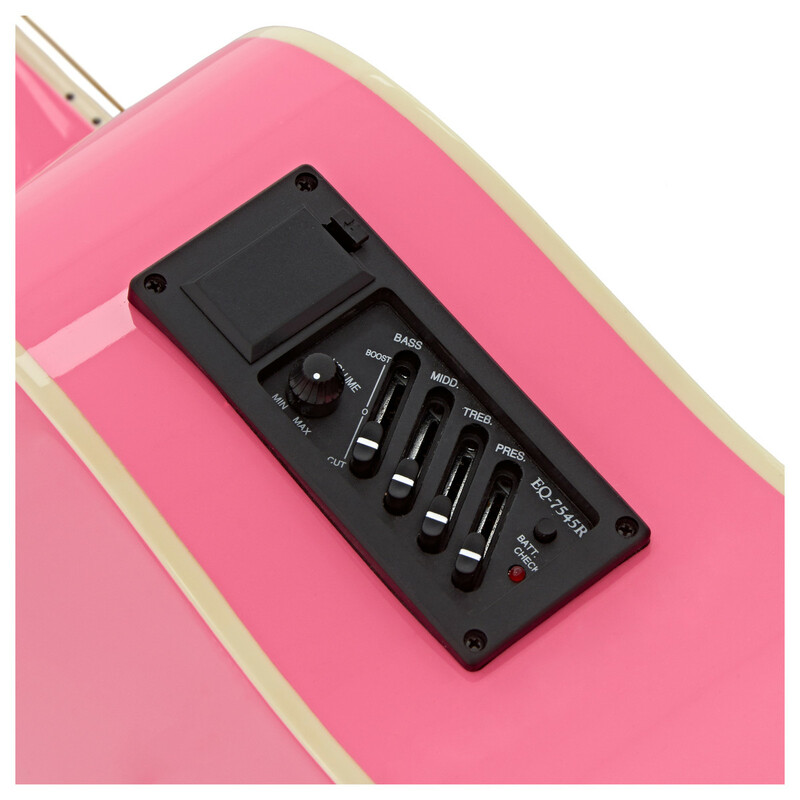 The onboard pickup and preamp allow this guitar to be plugged directly into any full-range amp, for a full, no-nonsense amplified sound. Great for 'acoustic' gigs in loud pubs. It also makes this guitar ideal for more experienced acoustic guitarists looking to branch out and experiment with effects, or even loops, as well as electric guitarists wanting to try acoustic guitar without losing the option of plugging in. 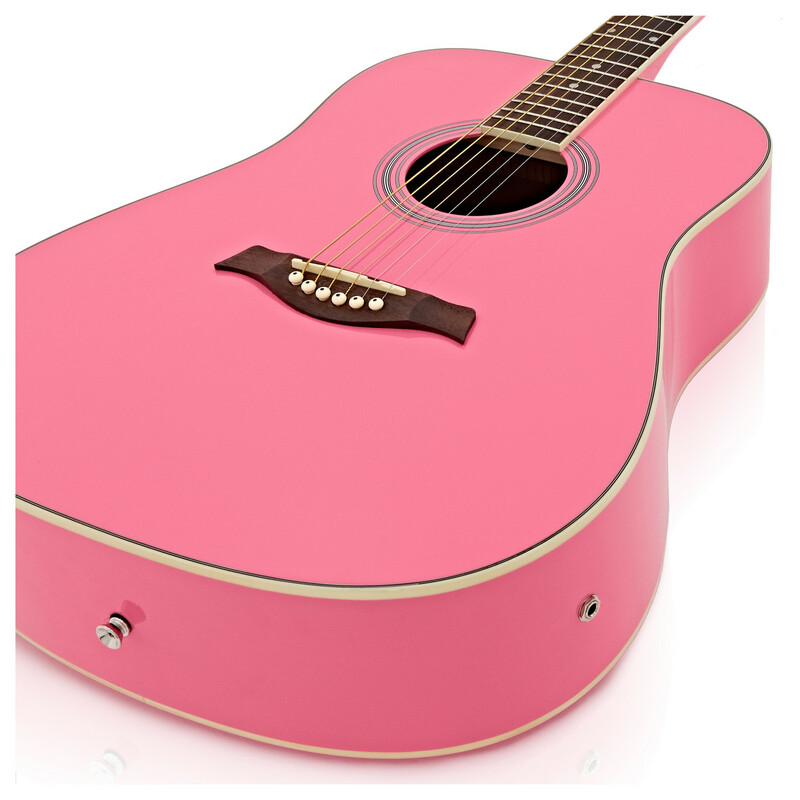 This guitar was awarded 4 out of 5 by Music Radar - a leading online publication for musicians. "The unamplified sound is bold and forthright, perfect for outdoor jam sessions and house party sing-alongs." "Intonation is excellent...you'll be in tune whether playing open position chords, mid-neck or upper position melodic licks." "Taking everything into account, the DN-10E-NT is an excellent guitar that plays well and sounds great both acoustically and plugged in."